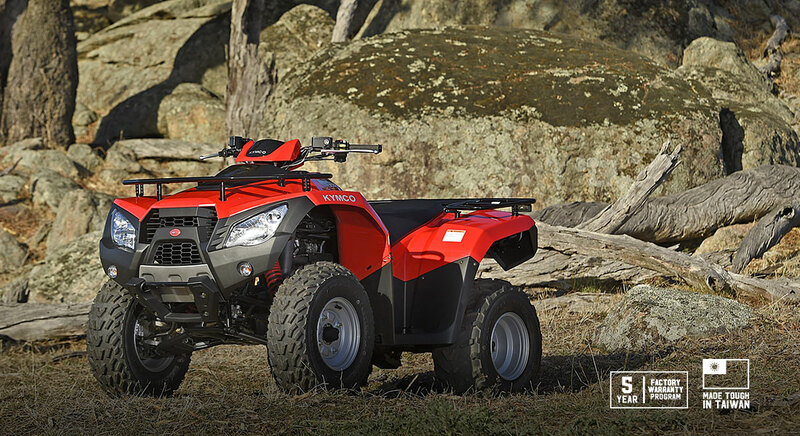 Loaded with features that you’d only expect on more expensive machines, the new KYMCO MXU 300R has everything you need to get the job done. New and enhanced body styling and design. Dual a-arm independent front suspension and unit-swing rear provide enhanced ground clearance and make for a comfortable ride while the liquid-cooled 19HP four-stroke engine provides all the power you need. Front and rear hydraulic disc brakes make stopping reliable while carry racks make this unit practical on the farm. With value for money features, the KYMCO MXU 300R will make light work of even the busiest day. Enclosed shaft drive system requires less maintenance and delivers increased reliability.